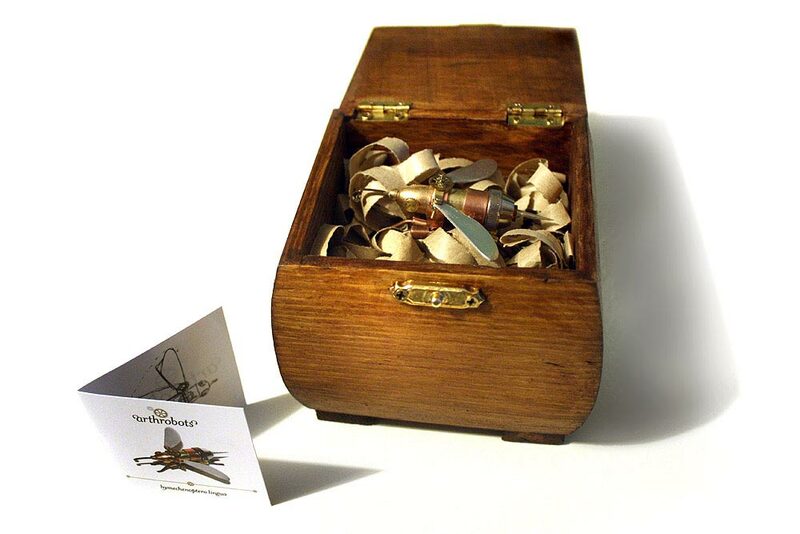 The insects come in classy wooden boxes with accompanying sketches and scientific data. 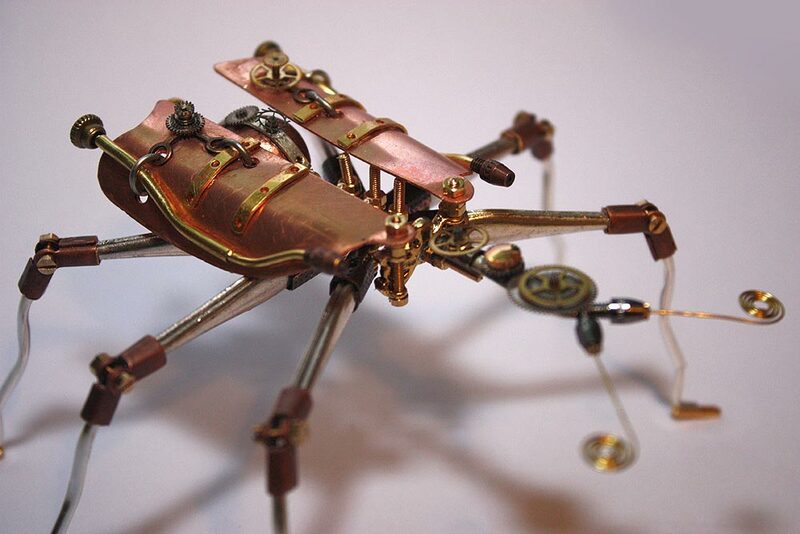 I do wish people would retire the word "steampunk" to describe these lovely sculptures. They're not especially Victorian, and seem to be on the whole more whimsical than science fictional. 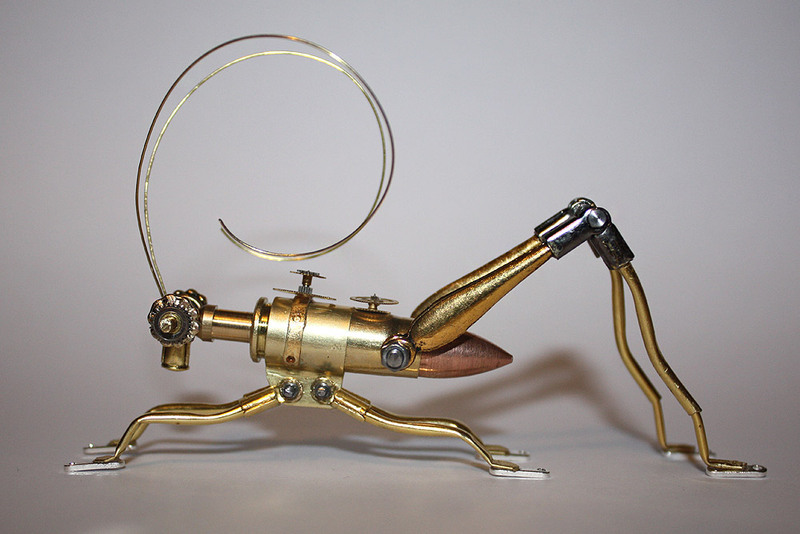 However, there is one thing I will admit they do have in common with steampunk makers- they are lovingly hand-made. May a brass insect be the fate of every ammunition housing! thanks for the tip, Rosa! 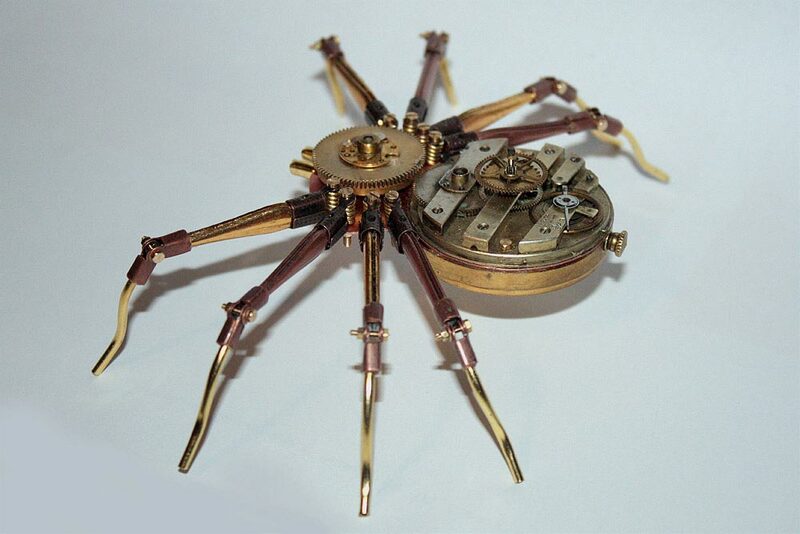 This entry was posted in art, insect, spider and tagged beetle, clockwork, grasshopper, insect, Rosa, sculpture, spider, steampunk, Tom Hardwidge. Bookmark the permalink.